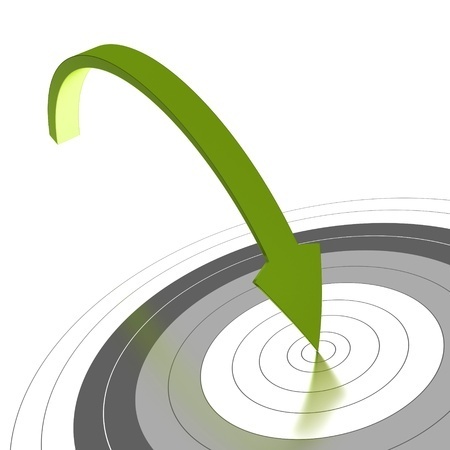 The marketing planning process must involve the production of a written plan (although this can be on presentation software such as PowerPoint), which will contain both a statement of the overall objectives and strategy being followed, but also detailed activities, responsibilities, timings and costs. In essence it sets out where the company/strategic business unit (SBU)/brand/product range is, where it wants to go and how it intends to get there. Ideally there should be a long-range strategic plan (usually working to a timescale of 3-5 years ahead) and a separate operational plan for the coming 12 months. However, so long as the long-term is considered first, there is no real reason why the two should not be combined in one document. This is the structure that is used here, but another well-known (and similar) framework is SOSTAC, devised by P R Smith. Some marketing plans are prefaced with the mission or vision statement for the organization. The value of this will be determined by the extent to which the statement is long-standing, is distinctive and motivating and is understood in broad terms by all employees. Too many such statements are unfortunately concocted at a senior level, without buy-in from employees, are too long, full of platitudes (e.g. “we care for our customers/employees/the environment, etc.”) and changed frequently, further reducing any validity they might have had. However, if the organization’s statement is of the former kind it should serve as a guide and a reminder as to all that follows in the marketing plan. There is a great deal of crossover between mission and vision statements, but generally speaking the former is more internally focused, and the latter more for external consumption. Marketing plans can also be prefaced with a restatement of the key corporate objectives, or KPIs (key performance indicators) for the organization. This reflects an understanding of the critical success factors for the organization’s future success. This will provide a summary of the key outputs from the market audit process, including the overall trends and an understanding of how it segments (i.e. in terms of consumer/customer), key competitors/brands, distribution channels, product categories and levels of promotional support. It also needs to cover the external PESTLE (political, economic, social, legal and environmental) factors, which are not specific to your market, and internal factors, including revenue and margin, brand performance and an analysis of the marketing mix. Remember that this is only a summary of a great deal of supporting data, which should be referenced. The most important elements could be included in an appendix in a physical marketing plan. SWOTs (strengths, weaknesses, opportunities and threats analyses) provide a valuable means to focus the situation analysis and facilitate the decision-making process. They should identify the most promising opportunities and the key leverage points – those areas of strength that can be used to access the opportunities identified. Understanding of the environmental threats and organizational weaknesses will influence the strategy developed. Correctly focused SWOTs should facilitate the exploration of all the key issues and provide an insightful competitor analysis. There are a large number of other diagnostic tools that can assist in securing insights, identifying key issues and developing appropriate strategies. These include the Product Life Cycle, Porter’s 5 Forces, Gap Analysis, Portfolio Analysis (e.g. Boston and Directional Policy Matrices), the Ansoff Matrix, Critical Success Factor Profiling, Perceptual Mapping, Value Analysis and Competitor Response Models. State the key underlying assumptions behind the plan. These might include economic factors (e.g. interest rates), political factors (e.g. a change of government), level of consumer/customer demand, competitive factors, internal factors (e.g. available capacity), etc. Good plans build in contingencies relating to differing outcomes. These are the key drivers of the marketing plan: everything that follows must relate to, and help fulfil, at least one of the marketing objectives. The key objectives must be SMART – specific, measurable, attainable/agreed, realistic, and time-banded – but subsidiary qualitative objectives are acceptable elsewhere in the plan on occasion if quantification is initially difficult. It must be possible to know at the end of the planning period whether or not the key objectives have in fact been achieved, however, which is only possible if they have been quantified. Marketing objectives are concerned with which products/brands are to be sold into which markets, and are therefore expressed in terms of volume, revenue, profit, market share etc. 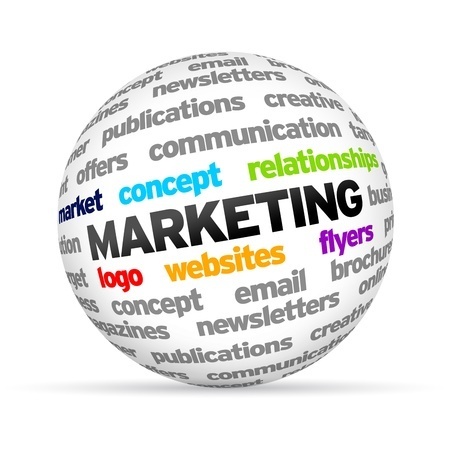 These key objectives are not concerned with the individual elements of the marketing mix (e.g. advertising, distribution, price changes, etc.). Issues such as brand awareness are not therefore the subject of marketing objectives, but the drivers of the communication strategy. Marketing objectives should be related to the forecasts and some, or all, will be used as KPIs (key performance indicators). It is best to keep the objectives to two or three at most, one of which should be financially related. Check that the objectives really address the strategic opportunities identified and help resolve the problems. Strategies identify the broad-based approach(es) for achieving the marketing objectives, but do not detail the specific measures. Alternatives should be offered and clear justification given for the preferred solutions: make sure you have chosen the optimum strategy. The diagnostic tools referred to in the SWOT section above can play a vital role in determining the appropriate strategies to adopt. Strategies deal with the elements of the marketing mix chosen to fulfil the overall marketing objectives (i.e. which of the marketing tools will be used, why and how). These might include price changes, new product introductions, new communications initiatives, new channels to market, staff training initiatives, etc. or any combination thereof. Make sure the strategies have been fully evaluated in terms of people and financial resource. Ideally there should be no more than three or four key strategies. The key elements of the brand strategy should also be clarified, i.e. the target segments, sources of competitive advantage and brand positioning statement. This is the heart of the marketing strategy and is critical to the success of the business: it should evolve slowly, not abruptly, over the years. Finally, it is good to preface the marketing strategies section with the organization’s mission statement (if it has one) and corporate objectives, to provide the broad context for strategy and for the whole plan. Sometimes these may be placed at the very beginning of the marketing plan. 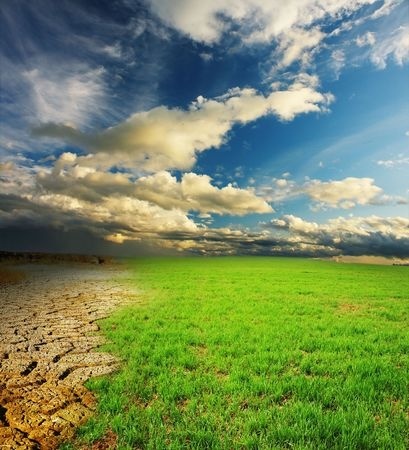 Forecasts are an as accurate a statement as possible of what it is believed will happen in the marketplace as a result of the detailed situation analysis undertaken, the future prediction of environmental factors and competitive actions, and the outcome of the planned strategic initiatives. They cannot be constructed without reference to a model (however imprecise) of the marketplace and the dynamics within it, including the brand shares of all the key market players. They are most emphatically not an aspiration based upon an extrapolation of past trends or a wish fulfilment. The model on which the forecasts are based should be refined over time on the basis of experience gained, improved information, the use of more sophisticated techniques, etc. The detailed plans make up the bulk of the marketing plan, spelling out the tactics to be employed, but are not its most important component. They detail the elements which must be planned and executed to deliver the overall marketing strategies and objectives. The plans define who, what, when and where, and should include contingencies. They critically concern timing and resource, and should have quantitative milestones in-built to facilitate monitoring during the executional period. In this respect they should indicate the tracking measures to be used. The plans concern the individual elements (or tools) of the marketing mix, each of which should usually have subsidiary objectives and strategies (e.g. brand awareness, customer beliefs, distribution levels, etc.). Depending upon the level of detail in the plans, it may be appropriate to create separate dedicated plans for some of the mix elements (e.g. for communications) and extract the higher levels for inclusion in the overall marketing plan. In a smaller, less complex organization, this will probably not be necessary. The plans should include details of activity timings throughout the year, usually in the form of a Gantt chart. In most organizations, the effectiveness of the marketing plan is ultimately judged in terms of financial performance. Thus the plan must contain financial projections in terms of revenues, costs and contribution to profit. Budgets relate the objectives set to the achievement of those objectives and provide a necessary check on the viability of proposed strategies and plans. There must be a substantiated link between planned revenue and margin on the one hand, and the various marketing costs to be incurred on the other hand, so that changes in the one can be seen to directly impact upon the other. The budget also ensures that the resources required to fulfil the plan are agreed. However, not all these cost centres are necessarily controlled by the Marketing function – for example, Selling, Distribution and Customer Service costs – in which case they are likely to be covered by other departmental budgets. More detailed costings would be required for each individual element in the appropriate part of the plan. Separate budgets might be required for individual products (groups) or brands; this is highly desirable to determine which major products/brands are producing the greatest return. Individual product line costings are normally only taken to a gross margin level, however. Understanding and management of the budgetary elements of the marketing plan are critical to the development of the product/brand/marketing manager’s career and his/her credibility within the organization. Correspondingly, lack of appropriate information from the finance department to facilitate completion of proper budgets is a clear indicator of an organization’s lack of sophistication and marketing orientation. This provides the critical feedback system to the achievement of the objectives during and after execution. It is based upon measures of interim and final results stated in objectives, implied in strategies and specified in plans. The evaluation section of the plan must state not just what the measurements are to be, but what is being measured or tracked (e.g. not just ‘understanding of message’, but ‘% believing that brand x provides the friendliest service’). Quantify as much as possible – don’t be surprised if your budgets are cut and your plans curtailed if you don’t! Monitoring systems should be put in place before the plan is put into operation so that objective achievement can be assessed. Evaluation will kick-start the next annual planning process as the audit process is repeated. The finished plan, be it a strategic plan or an operational plan, should ideally not be more than about 20 pages long (in the case of a PowerPoint document a bit more flexibility is possible). This requires a particular skill in reducing the outcome of all the preceding work into a concise summary of the key facts, conclusions, objectives, recommended strategies, planned activities and costs. All extraneous information to the main narrative should be omitted, but any apparent anomalies and likely objections dealt with. The plan will almost certainly, however, cross-reference to a number of back-up documents (including the analyses undertaken), some of which can be drawn upon for presentation purposes. The essential skill, however, is in preparing a simple, straightforward and convincing document which will take the intended audience through a process of logical arguments, without causing confusion, or raising an endless series of questions. The process of preparing the plan in a logical fashion will create clarity of thinking and focus regarding the issues and opportunities that the business faces, and thus greatly enhance the impression engendered in presenting a compelling plan. For a detailed exploration of how to complete the individual sections of a marketing plan see here.